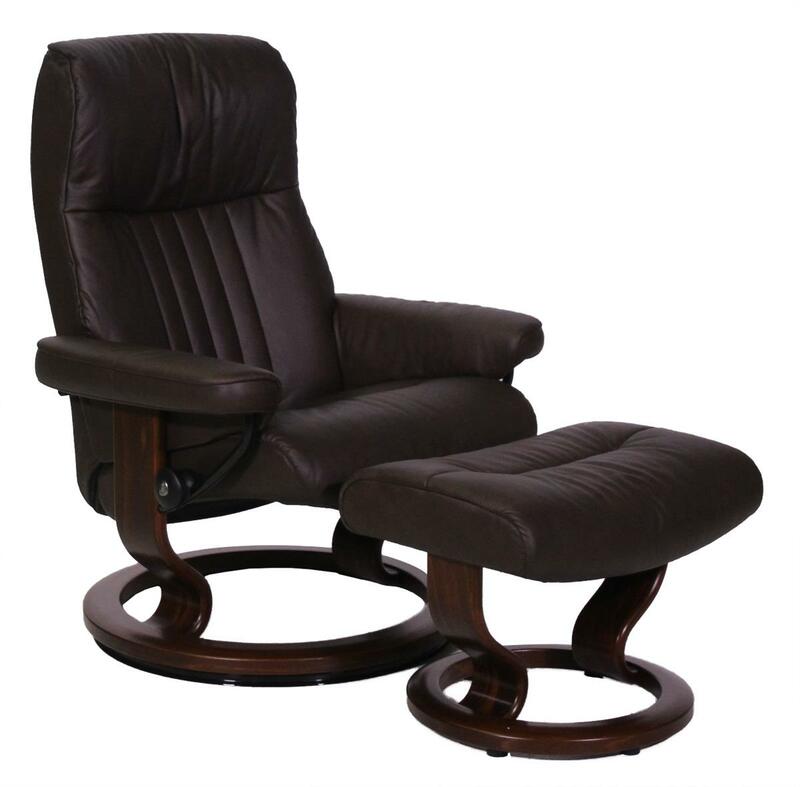 An updated take on Stressless's classic Royal recliner, the Crown medium chair and ottoman reigns supreme in sophisticated comfort. Timeglass-shaped solid wood legs create a sturdy and contemporary base for both the chair and the footstool. The chair features Stressless's patented Plus system, which provides amazing neck and lower back support at any position. A contoured bucket seat allows you to sink into comfort and kick up your feet on the complementary ottoman. Make the piece your own by choosing from 4 types of leather or 14 types of fabrics in a wide array of colors. The Crown Medium Stressless Chair and Ottoman by Stressless by Ekornes at HomeWorld Furniture in the Hawaii, Oahu, Hilo, Kona, Maui area. Product availability may vary. Contact us for the most current availability on this product. The Crown collection is a great option if you are looking for Contemporary furniture in the Hawaii, Oahu, Hilo, Kona, Maui area. Browse other items in the Crown collection from HomeWorld Furniture in the Hawaii, Oahu, Hilo, Kona, Maui area.